The short video below gives you a quick overview about the business growth & profit calculator. 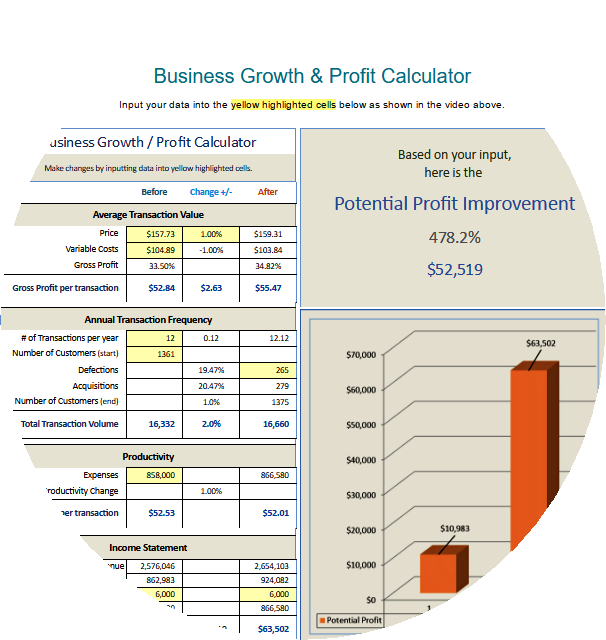 Use the growth rate calculator to determine the potential profit improvement rate based on the variables you provide. You are welcome to contact us about this spreadsheet and our other resources for helping you with business research and planning.